Welcome Miss Universe 2018 Catriona Grey into your own homes this weekend as KBO airs her one-night-only homecoming concert at the Araneta Coliseum live this Sunday at 7 PM (February 24). Raise your flags and welcome the new queen. Joining Catriona are MayMay Entrata, TNT Boys Keifer Sanchez, Mackie Empuerto, and Francis Concepcion, as well as Morisette Amon, Jed Madela, Bamboo, and KZ Tandingan. The concertwill be hosted by Boy Abunda. Aside from the guests mentioned, viewers can also catch the one-on-one interview of Vice Ganda with the newly crowned beauty queen. To catch this weekend’s KBO movies, simply register using any prepaid or postpaid SIM. For prepaid, just load up (Globe, TM, Smart, Sun, TNT) with P30; press the green / INFO button on your TVplus box remote to get your box ID; then text KBO30 (date) to 2366. “Once again, McJim proves to be more than just a lifestyle brand as it strives to stay relevant in this day and age. 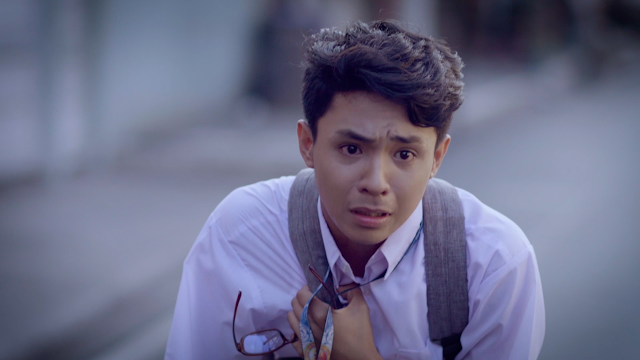 It does so rather convincingly as it takes on another critical advocacy: anti-bullying,” Cahilig says of McJim and its newest short film, which, the director promises, will get viewers hooked until the end - all for a good cause. Prior to “The Bully,” McJim earned praises for its first LGBT-themed short filmed “Bag” for its honest portrayal of a gay-straight friendship - a bold and unconventional move for a masculine brand like McJim. 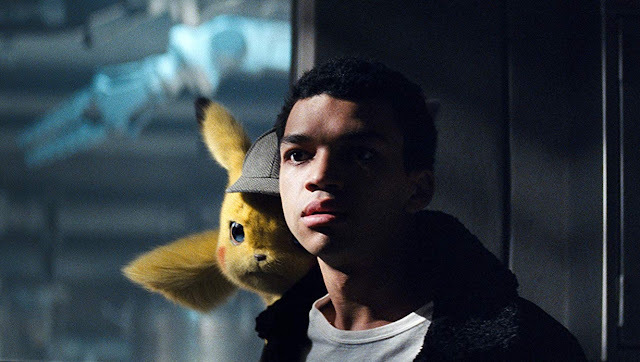 Warner Bros. Pictures has just revealed a new TV Spot featuring never-before-seen footage from its upcoming live-action adventure "POKÉMON Detective Pikachu." Check out the spot below and watch "POKÉMON Detective Pikachu" in Philippine cinemas May 09. "POKÉMON Detective Pikachu" is distributed in the Philippines by Warner Bros. Pictures, a WarnerMedia Company. 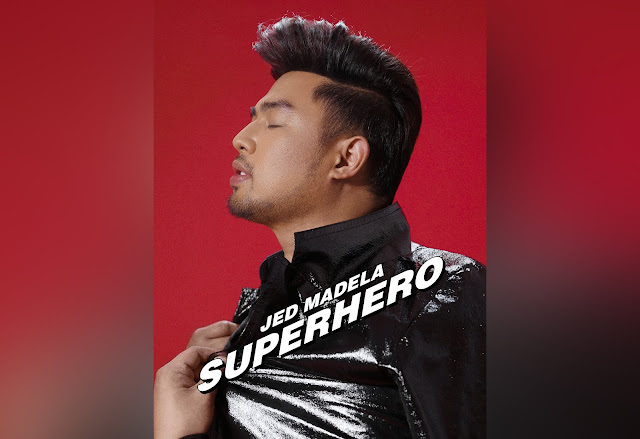 Multi-awarded recording artist Jed Madela has finally introduced his newest and much-awaited album "Superhero" under Star Music, now available on digital platforms—iTunes, Amazon, Apple Music, and Spotify. The "Tawag ng Tanghalan" judge's latest offering has multiple tracks, including "Superman," "Superhero," "I Got Your Back," "You Were Mine," and "Di Matitinag." Also part of his "Superhero" album is the single "Be With You Again," his exciting collaboration with BoybandPH. "It's about two people who had a relationship that didn't work. One of them is hoping to get another chance at love," Jed shared. "Be With You Again" is now part of the MYX Daily Top 10 (as of Feb. 18). The highly anticipated album launch, held last Saturday at Eastwood Open Park with Six Part Invention, also featured guest performers JMKO and Lara. It was led by musical director Rey Cantong and hosted by MYX VJ Ai dela Cruz. Aside from the recording project, the World Championship of the Performing Arts (WCOPA) hall of famer is also set to have his 15th anniversary concert tour all over the Philippines and also in the US and Canada this year. Download Jed's "Superhero" album on digital stores and watch out for his nationwide mall tours to promote his latest songs. For more details, like Star Music on facebook.com/starmusicph, and follow it on Twitter and Instagram @ StarMusicPH. Do you still remember your first day at your very first job? by Jindric Macapagal) who is caught in an awkward situation on his first day at work in a Makati office. What could go wrong—or right—on Day 1? “‘First Day’ reveals the answer in an unexpected and heartwarming manner, delivering a mega dose of ‘kilig’ on a hugely relatable slice of life,” says film director and public relations specialist Chris Cahilig. moments and wraps up with a plot twist that the audience won’t see coming. 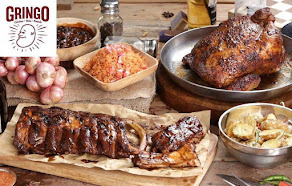 “Whether at work or at home, there’s very little doubt that intriguing conversations—and relationships—can be sparked by delectable comfort food,” Cahilig hints at what’s coming. However one looks at it, “First Day” fits right into the #MegaGandaAngBuhay campaign by depicting how MEGA Sardines, as a staple viand, has fortuitously figured in the unforgettable “firsts” of its Filipino patrons. editor), Melai Entuna (line producer), Clark Lopez (assistant director), Kat Salinas (sound design), Richard Gonzales (scoring), Det Moldera (accounts manager), Yani Bautista (production manager), and Johanna Evangelista (production coordinator). “First Day” can be viewed on MEGA’s official Facebook page www.facebook.com/officialmegasardines and YouTube channel (Mega Global). Meanwhile, “Tipidity” and “Adulting” have garnered, to date, almost 3 million views on YouTube alone. Both short films can also be viewed on MEGA Sardines’ official Facebook page. MEGA Sardines is available in supermarkets nationwide, with a wide array of variants like MEGA Sardines in Tomato Sauce, Tomato Sauce with Chili, Paksiw Style, and Spanish-Style; MEGA Sardines Creations in Natural Oil and in Spanish-Style; MEGA Extra Hot Sardines; MEGA Fried Sardines Tausi and MEGA Fried Sardines Hot and Spicy. For more information about MEGA Sardines and its #MegaGandaAngBuhay campaign, visit www.megaglobal.com.ph or www.facebook.com/officialmegasardines . Warner Bros. Pictures' "Aquaman" has hit new heights at the international box office, with tickets pushing the DC Super Hero past the $800 million mark. The announcement was made February 19 by the head of Warner Bros. Pictures International Distribution, Tom Molter. The impressive box office run overseas has propelled the film to become the highest grossing DC title ever both globally and internationally, as well as in 36 territories, including the Philippines (at Php 582-million), China, Spain, Brazil and Taiwan. "Aquaman" is already the second-highest grossing Warner Bros. title internationally, behind only "Harry Potter and the Deathly Hallows – Part 2," and also stands as Warner Bros.' biggest earner in 24 international markets, including the Philippines, China, Brazil, Indonesia, Taiwan and the UAE. The benchmark international number also drives the global box office figure to $1.13 billion and counting. Industry-wide in the Philippines, "Aquaman" ranks as the eighth overall biggest grossing film ever in PH history, including both local and foreign titles. Molter stated, "'Aquaman' began its journey in China and has made its way around the globe through every major international market, most recently landing in Japan in early February to great success. Its remarkable box office throughout the world is a measure of the film's ability to entertain across cultures and in every language, and we congratulate James Wan, Jason Momoa and the entire team for creating such a hugely entertaining cinematic experience for audiences everywhere." From Warner Bros. Pictures and director James Wan comes "Aquaman," the origin story of half-surface dweller, half-Atlantean Arthur Curry that takes him on the journey of his lifetime - one that will not only force him to face who he really is, but to discover if he is worthy of who he was born to be…a king. The action-packed adventure spans the vast, visually breathtaking underwater world of the seven seas, and stars Jason Momoa in the title role. 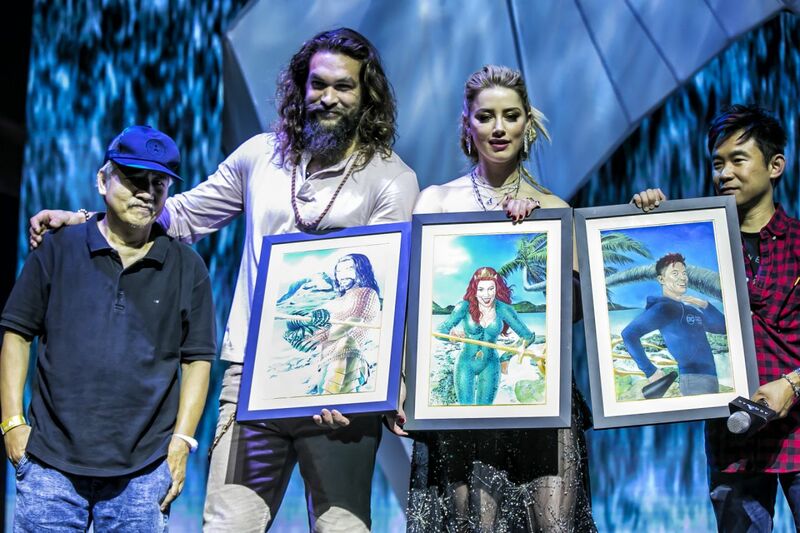 The film also stars Amber Heard as Mera, a fierce warrior and Aquaman's ally throughout his journey; Oscar nominee Willem Dafoe ("The Florida Project") as Vulko, council to the Atlantean throne; Patrick Wilson as Orm, the present King of Atlantis; Dolph Lundgren as Nereus, King of the Atlantean tribe Xebel; Yahya Abdul-Mateen II as the revenge-seeking Black Manta; and Oscar winner Nicole Kidman ("The Hours") as Arthur's mom, Atlanna. Also featured are Ludi Lin as Captain Murk, an Atlantean Commando, and Temuera Morrison as Arthur's dad, Tom Curry. Warner Bros. Pictures Presents a Peter Safran Production, a James Wan Film, "Aquaman." The film has been released in 3D and 2D and IMAX, and is distributed worldwide by Warner Bros. Pictures. The action-packed scenes of "FPJ's Ang Probinsyano" continued to grip more Filipinos nationwide as the show scored a double-digit lead against its new rival show last Monday (February 19). 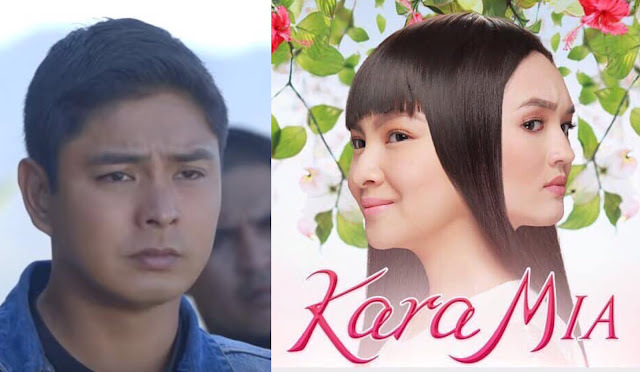 The Kapamilya series registered a national TV rating of 41%, or 23.1 points higher compared to "Kara Mia" that only got 17.9%, according to data from Kantar Media. The Coco Martin-starrer was also a hit online as its official hashtag #FPJAP3Pasakit joined the list of trending topics online. Viewers were kept on the edge of their seats as Alakdan (Jhong Hilario) and General Hipolito (John Arcilla) busted Diana (Angel Aquino) and Bubbles' (Bianca Manalo) attempt to escape from being held captive, putting their lives in great danger. Meanwhile, after the tragic death of Romulo (Lito Lapid), Cardo and the rest of Vendetta found refuge in a family living in the mountains, which will be their temporary hideout as they plan for their troupe's attack to take down their enemies. But Don Emilio will not let Cardo and Vendetta win in their battle as he plots to take down the vigilante group. Will Cardo successfully beat their enemies and save their remaining allies? For three years, viewers have welcomed Cardo into their homes as the well-loved character delivered action-packed battles and memorable lessons. Since it started airing, "FPJ's Ang Probinsyano" has remained the most-watched program in the country. Don't miss the action and lessons in "FPJ's Ang Probinsyano," weeknights on ABS-CBN and ABS-CBN HD (SkyCable ch 167). For updates, follow @abscbnpr on Facebook, Twitter, and Instagram or visit www.abscbnpr.com. People do not always make the right decisions in their lives, and often this leads to life's "what ifs" or simply called regret. In one of Eric Jackson's articles published in Forbes online, he has written about "The 25 Biggest Regrets in Life. What are Yours?" and fifth on his list is "breaking up with my true love/getting dumped by them". Jackson said that "romance is a big area of regret for most of us…It is tough to simply be happy with the love that you've found and takes away from the special moments you have today, if you're constantly thinking back to what you once had." 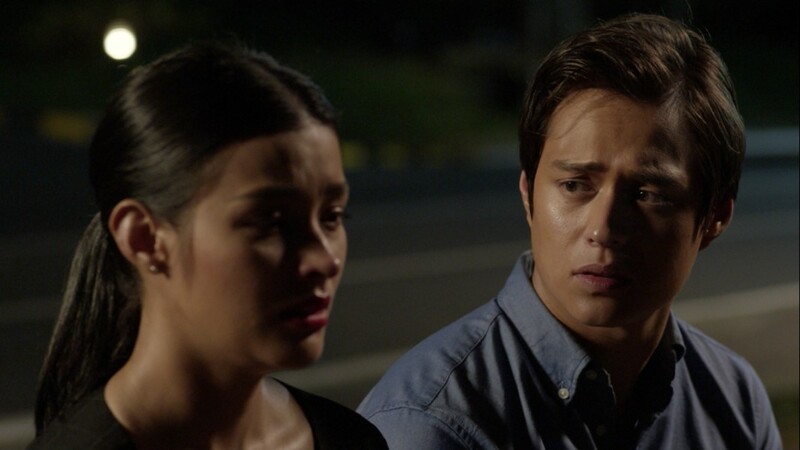 This kind of regret is the theme of ABS-CBN Films Black Sheep's latest movie offering, "Alone/Together", which stars one of the most-followed loveteams in the Philippines today, Enrique Gil and Liza Soberano, that is written and directed by Antoinette Jadaone. "Alone/Together" is the story of college sweethearts Raf (Gil) and Christine (Soberano), whose paths will take a different turn that lead them to the biggest regrets in their lives. Aside from the intriguing story of Raf andChristine, Jadaone also noted how the two stars' individual characters tackled the "disillusionment" that some graduates feel upon facing the real world—a familiar situation to some overseas Filipinos. "When you're in college, you feel na you can change the world. But we find college graduates become disillusioned when they face the real world, so 'yon 'yong tackled sa movie--they are in that period in their lives. Ibang-iba ka na no'ng college ka sa ngayon, iba 'yong taong pinangarap mo maging kaysa sa taong naging ikaw (When you're in college, you feel that you can change the world. But we find college graduates become disillusioned when they face the real world, that is what the movie tackles—they are in that period in their lives. You are different from who you were in college, from who you dreamed you will become, to who you have become)," Jadaone explained. Will Christine and Raf live forever with regrets or will they get the chance to turn things around? Find out what will happen to Christine and Raf's lives in the film "Alone/Together" as it screens in the following dates and regions: February 17 in Taiwan; February 21 in the Middle East and Papua New Guinea; February 22 in U.S., Canada and Fiji; February 23 in Vienna, Austria and Gutenberg, Sweden; February 23 and 24 in U.K.; February 24 in Madrid and Barcelona in Spain, Rome, Bologna, and Padova in Italy, and Dublin, Ireland; February 28 in Australia, New Zealand, and Brunei; March 1 in Saipan; March 2 in Espoo, Finland; March 3 in Milan, Florence, and Torino in Italy, Athens, Greece, Copenhagen, Denmark and Paris, France; and March 10 in Oslo, Norway. For the cinemas list in your region, visit mytfc.com/alonetogether, emea.kapamilya.com, and TFC's official Facebook pages applicable for your area. Four of the country's premiere actors and actresses, Bea Alonzo and Aga Muhlach, Carlo Aquino and Angelica Panganiban lead the Valentine's offering of SKYcable Pay-Per-View this February. In the reunion movie of "Gimik" alumni Carlo and Angelica, two people take a chance at love after sorting through their baggage from their past relationship. See how Nix (Carlo) and Pia (Angelica) find spark and try to discover if they truly are for meant each other. Aside from being one of 2018's blockbuster movies—grossing over P350 million—it also served as the debut movie of Black Sheep, a film outfit of ABS-CBN Films geared towards the millennial market. Catch the Dan Villegas film until February 21, with another Black Sheep offering "To Love Some Buddy," Angelica's hit movie with JM de Guzman "That Thing Called Tadhana," and "Nakalimutan Ko Nang Kalimutan Ka" for only P30 for a 3-day access. Starting February 22 until March 1,another film that SKY viewers should not miss is the first team-up of Aga and Bea on the big screen, "First Love." Shot in Vancouver, Canada, the movie is about impulsive photographer Ali (Bea) who challenges Nick (Aga) to savor every moment of his life before it is too late. Don't miss the TV premiere of this 2018 film with Bea's two other movies, "How To Be Yours," and "Four Sisters and a Wedding" plus "Recipe for Love," and Pinoy Pride 43", also for only P30 for a 3-day access. To subscribe, call 418-0000 orSKY local offices or visit www.mysky.com.ph/starcinemappv. SKYcable subscribers can also access these movies in standard or high definition from the comfort of their home or on any device anytime, anywhere via SKY on Demand. 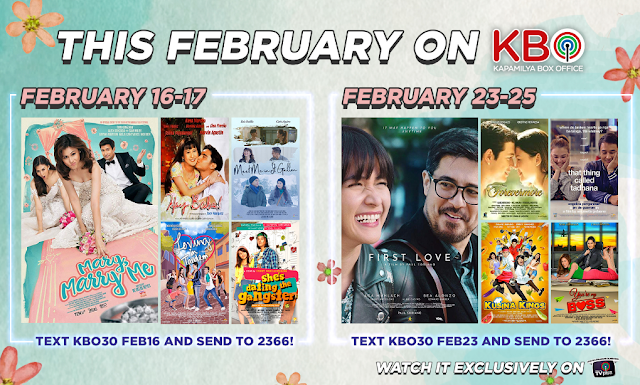 Sisters Alex and Toni Gonzaga face off to capture the heart of Sam Milby as Aga Mulach and Bea Alonzo rediscover love in this month's KBO features. In their first MMFF movie ,together "Mary Marry, Me" Mary Anne (Alex) comes home for her upcoming wedding to Pete (Sam). She needs the help of her sister Mary Jane (Toni), who is a wedding coordinator. But the relationship of the sisters will be tested as Mary Anne later finds out that Pete is the former lover of Mary Jane. Meanwhile, also catch the 2018 Star Cinema film "First Love," the big screen team-up of Aga Muhlach and Bea Alonzo, this February 23 to 25. Directed by Paul Soriano, find out how will Ali (Bea) try to make Ali, a reserved businessman, to believe in love again. Exciting viewing continues on ABS-CBN TVplus as it is also extending the free trial of its new channels. To catch this weekend's KBO movies, simply register using any prepaid or postpaid SIM. For prepaid, just load up (Globe, TM, Smart, Sun, TNT) with P30; press the green / INFO button on your TVplus box remote to get your box ID; then text KBO30 (date) <TVplus box ID> to 2366. 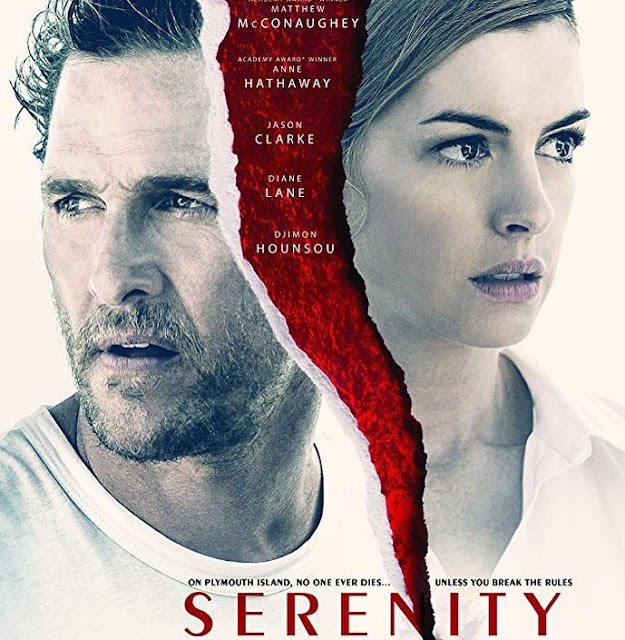 VIVA International Pictures and MVP Entertainment proudly present "Serenity", a film filled with thought-provoking scenes that will give its viewers more sense of mystery than serenity. Matthew McConaughey (Academy Award Best Actor for Dallas Buyers Club) plays Baker Dill, a fishing boat captain leading a quiet life in Plymouth Island until his ex-wife Karen shows up with what Matthew has described in an interview as "a very indecent proposal" . Karen, played by Anne Hathaway (Academy Award Best Supporting Actress for Les Miserables), is now married to a multi-millionaire named Frank, played by Jason Clarke (Zero Dark Thirty, Terminator Genisys). Talking about her character, Hathaway says that she's "in a desperate situation" because she is "trapped in a toxic and abusive marriage". She wants Baker to get rid of Frank by taking him out on a fishing tour and dropping him in the ocean for the sharks. Hathaway reveals that she and Baker "got together when Karen was quite young". They had a child, but he went to war and it tore their family apart. "And so she has to figure out what she's gonna do, being a single mom. She finds this guy (Frank) who kinda reminds her of Dill. He likes to fish. She starts to think like maybe she can build a life with him, and then he turns out to be her worst nightmare come true." 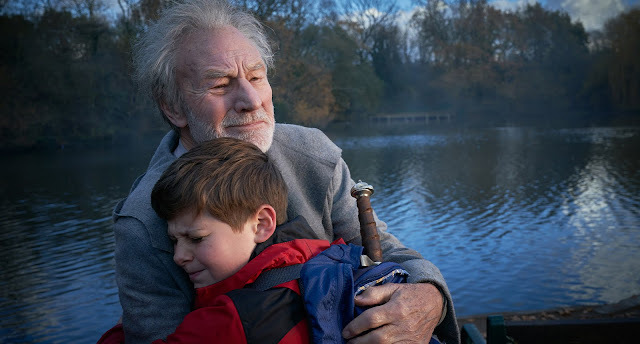 Baker, who is now romancing Constance, a moneyed beauty of Plymouth Island, played by Diane Lane (Academy Award nominee for Unfaithful), is still trying to move on from his troubled past. But can he truly turn his back on his ex-wife? What will it take for him to forget about his conscience and help her out? Director Steven Knight (Lock, Redemption), who also wrote the screenplay, attests that "Matthew is the best there is" when it comes to playing Baker Dill. He explains that the character "doesn't give of himself too readily, someone who's closed in and I thought that was Matthew. Because of the nature of the twist I want beautiful people…and he's also beautiful." As a writer, two of Knight's best known works are Seventh Son andThe Girl in the Spider's Web. Serenity is McConaughey and Hathaway's second movie together. The first was Interstellar in 2014. Asked what drew them to do this movie, Matthew replies, "I saw a character that I could be very personal with, really find an identity that I can understand." It's also a well-written story, plus Knight is a writer/director that he trusts. Hathaway agrees with McConaughey about the story being creative and extraordinary. "I got half-way through (reading) and I have no idea what's going on, but I'm completely in and I just let it carry me away. And I wind up in a place that was very different than I thought it was going to, but it was a place of feeling and intelligence and soulfulness." Serenity was filmed in Mauritius, an island in the Indian Ocean off the southeast coast of Africa. It opens in cinemas on February 13. It is a love and laughter filled month on ABS-CBN Lifestyle as the leading celebrity lifestyle website onboards "Pinoy Big Brother: Otso" host and MYX VJ Robi Domingo as its first ever male guest editor. Robi gets to share his helpful insights on all matters of the heart—from love for family to love of career to the most important, self-love. It is also a month of revelations in the love department as he admitted to ABS-CBN Lifestyle, "I'm happy, really happy. No, seriously, I'm happy!" Two celebrity couples who have stood the test of time also impart their inspiring love stories on the site. Kyla and Rich Alvarez and Gladys Reyes and Christopher Roxas, who are now married for 14 and 26 years, respectively, revealed their firsts and lasts as a couple in a series of honest, tear-jerking videos. 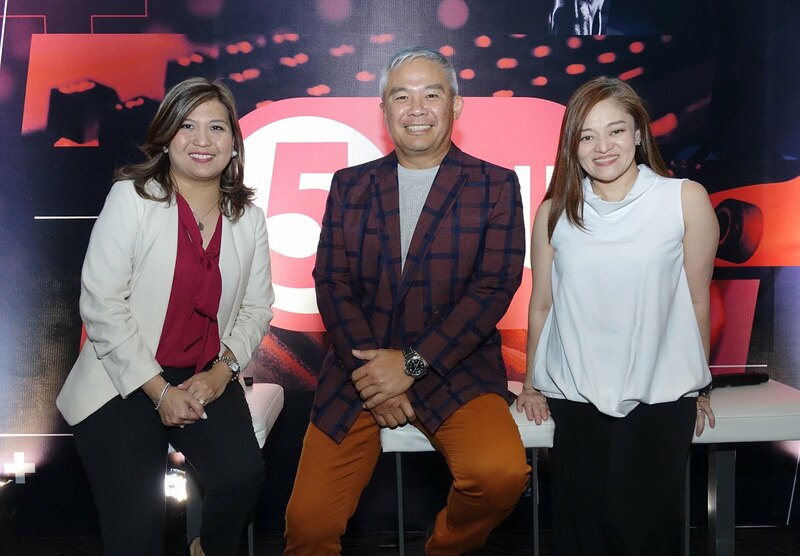 In line with the "Love Month" theme, ABS-CBN Lifestyle is set to launch the following original and in-depth visual stories on the stuff close to each Kapamilya star's heart. "Homes We Love" will showcase celebs and their spaces with cheat sheets on how to emulate their aesthetics; "I Love My Job" will center on personalities and their exciting sidelines and passions; and last but not the least, "Pet Mah Love" will feature these stars and their dearest pet animals inspiring them everyday. 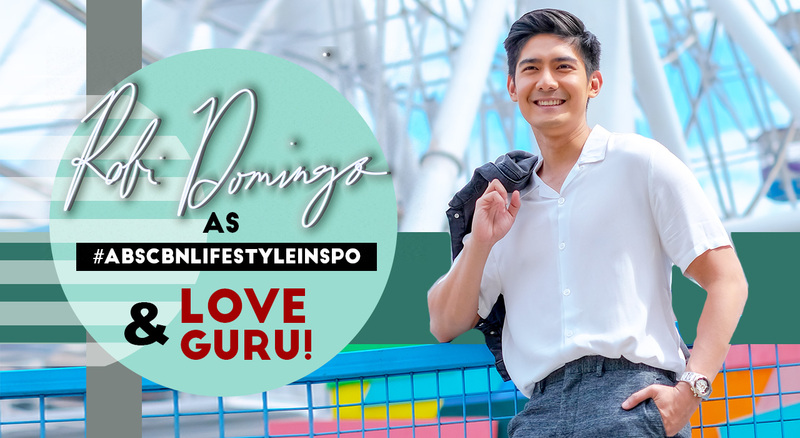 Check out the exciting reads and videos with Robi, February's ABSCBNLifestyleInspo. Catch more Inspiring Stellar Stories on ABS-CBN Lifestyle by logging on to Lifestyle.ABS-CBN.com and following the site through its social media accounts on Facebook, Instagram, YouTube, and Twitter @abscbnlifestyle. 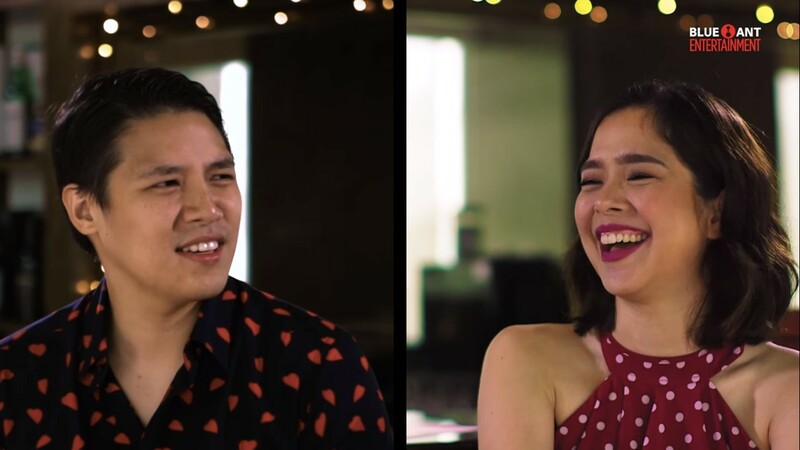 In time for the love month, Saab Magalona-Bacarro and Jim Bacarro took on on Blue Ant Entertainment's Game of Firsts. The couple, who are now married for four years and together for a total of eight, shared further details about their "firsts" as a couple. Taking their fans to their trip down memory lane, they opened up about their relationship through a fun game, which later on revealed that their first date was the start of their love story. More fun facts about the duo were shared in a light and funny video released on Blue Ant Entertainment's Facebook and Instagram pages. The game started with a question about their first anniversary where they revealed that in the first two years of being together, they did not have an anniversary, they were even unsure of the exact date of their first date. Not knowing what the next question will be, Saab and Jim's reactions were captured raw and questions were answered on the spot. The Game of Firsts' is a test to know how much a couple remember about their "firsts". The set of questions vary from the color each of them were wearing on their first date, their reaction the first time their partner farted in front of them, to their families' first impression of each other. Enjoy the Game of Firsts with Saab and Jim on Blue Ant Entertainment's Facebook page at https://www.facebook.com/BlueAntEntertainment/videos/602389050208210/ and on Instagram @BlueAntEntertainment. If you are looking for more romantic, funny, and awkward real life first date moments, catch First Dates every Monday to Wednesday, 8:50 PM on Blue Ant Entertainment available on SKYcable channels 53(SD) and 196(HD), SKYdirect channel 35, Destiny Cable channel 53, and Cablelink channel 37. Jennifer Lopez (Maid in Manhattan, Monster-in-Law) ignites a new fire of girl power and inspires women to dream and believe in themselves and take second chances in her new movie, SECOND ACT. SECOND ACT is the story of Maya (Lopez), a 40-year-old woman struggling with frustrations stemming from her unfulfilled dreams. Until she gets the chance to prove to Madison Avenue, Manhattan's Advertising Industry center, that street smarts are as valuable as a college degree, and that it is never too late for a second chance. But in the midst of her career's continuing success, she wants to come clean with something, risking everything she has built up to now. Also starring in the movie is Vanessa Hudgens (High School Musical, Netflix's The Princess Switch) as Zoe, Maya's officemate who idolizes her. Milo Ventimiglia (Creed II, Heroes) as Trey, Maya's husband who always encourages her to believe in herself more, and Leah Remini (CBS' The King of Queens) as Joan, Maya's ever-supportive bestfriend. 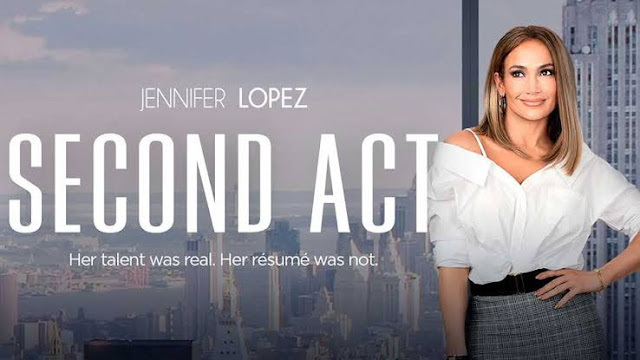 SECOND ACT is full of quick, witty comic lines that will tickle your funny bone and heartwarming moments that will touch your heart, some of Director Peter Segal's (50 First Dates, Get Smart) film trademarks. The movie is pumped up with great music such as the ageless hits "Dreams" by The Cranberries, "Push It" by Salt-n-Pepa and the original song "Limitless" which was composed by Sia and performed by none other than Jennifer Lopez. Catch SECOND ACT when it hits Philippine cinemas nationwide on January 30. Presented by VIVA International Pictures. Best known globally for his role in the blockbuster X-Men franchise as the powerful Professor Charles Xavier aka Professor X, Patrick Stewart takes on another mighty role from literature and children's favorite as the wizard Merlin in the family movie "The Kid Who Would Be King." Arthur's teacher, the wizard Merlin, is among the most famous characters in literature and the prototype for many characters in popular culture, including Obi-Wan Kenobi as well as Dumbledore and Gandalf. Like the legendary Merlin, the film's Merlin is a combination of energies — he's incredibly wise and mystical but also playful and a little bit subversive, capable of lying, manipulating and tricking you. Stewart continues, "One of the big attractions of this project was that I would be working with another actor who was playing the same role, alternating with me as the younger Merlin, which I don't think I've ever done before. I was fascinated with that, so early on I did some work with Angus. We met, and we had a few little experiments that we tried. We both found a passage of Shakespeare that we knew by heart, and so we spoke it in unison, with each one of us trying to imitate the other's voice. I'd never done anything like that before, and it was a fascinating exercise." 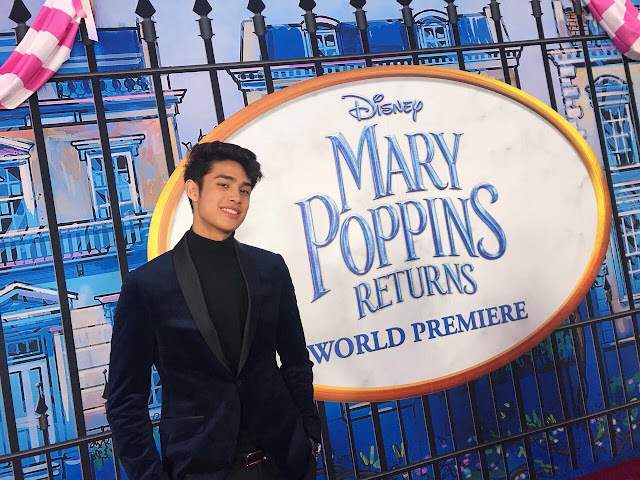 ​At the world premiere of Mary Poppins Returns in Los Angeles, Donny Pangilinan alongside his mom, Maricel, and sister and vlogger, Hannah, met the cast and director of Mary Poppins Returns. "It was surreal walking the red carpet and witnessing everything. Still can't believe I was able to interview the people behind this wonderful film," Donny shared. ​Donny was able to meet and interview Emily Blunt (Mary Poppins), Lin-Manuel Miranda (Jack), Ben Whishaw (Michael Banks), Emily Mortimer (Jane Banks), and director Rob Marshall during the trip. ​Complimenting Donny were Blunt and Marshall themselves. He was wearing a Mickey Mouse sweater, which Blunt took as a sign that he's a big Disney fan. "I knew it from the sweater!" she gushes.Meanwhile, Marshall praises Donny about his interview saying, "You're so good. You know why you're so good? Because you listen. A lot of people have questions already planned, but you listen to what I'm saying and go with it. That's a rare quality." ​In his vlog, Pangilinan said, "That moment really touched my heart. It meant a lot coming from a director who made so many amazing films… I was so nervous, I didn't know if what I was saying made sense. I tried my best to be calm and to stay in the moment." ​Watch Donny's interview with the cast Donny Pangilinan Interviews Cast & Filmmaker of Mary Poppins Returns and their family's red carpet experience on Hannah's vlog Hannah Pangilinan at the Red Carpet of Mary Poppins Returns Premiere. ​"Mary Poppins Returns" is still showing in Philippine cinemas. To join the conversations online, use #MaryPoppinsReturns.